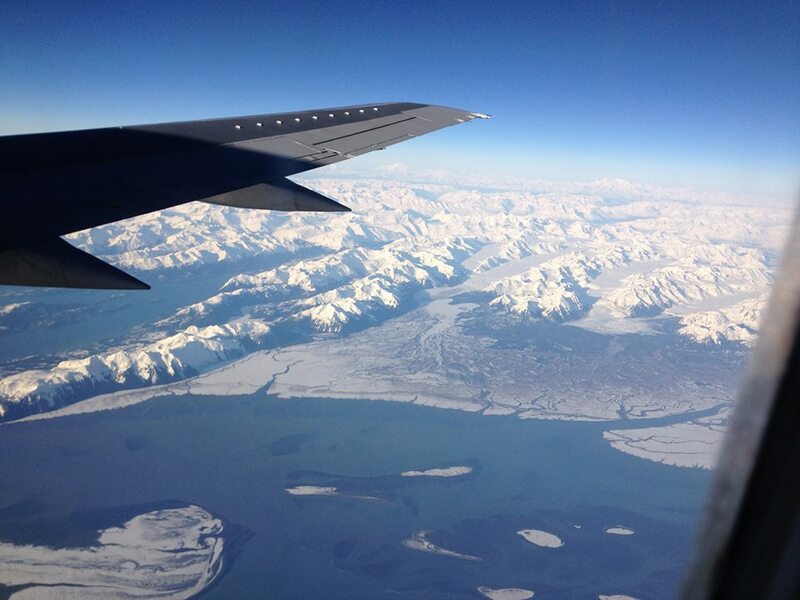 Start planning your Alaska Heli trip now. We have amazing terrain for intermediates, experts and pros. The most flexible and affordable packages in the industry. 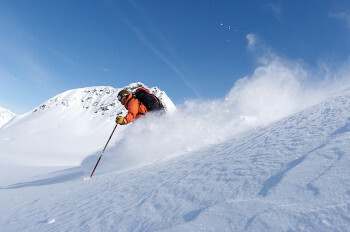 If you are trying to decide where to heli ski in Alaska, and you want an authentic Alaska heli skiing and heli boarding experience, ASG is for you. Our average heli skiing day will include 30,000 to 35,000 vertical feet, with descents up to 6,000 vertical feet of untouched powder in a single run! Our helicopter can drop us off on peaks over 8,500 ft, and provide access to 2,500 square mileage of some of this sickest skiable terrain you could imagine! We choose to ride in smaller groups of 4 to 6 people, which enables us to be safer then having a large group, and allows our guides to focus on one client at a time while accessing giant powder bowls, long spines, natural half pipes, and slash-able wind waves. Don't believe it could be this good? Hear what our guests have to say. 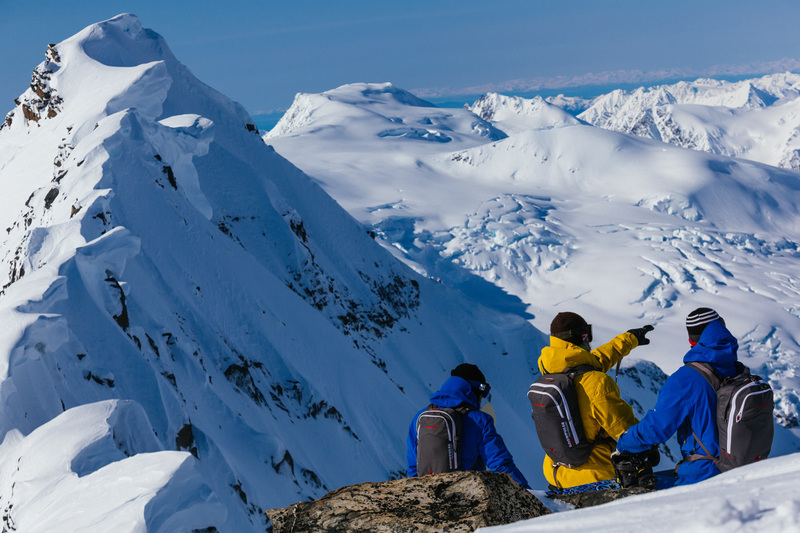 All of the Alaska Snowboard Guide staff members have safety qualifications of the highest standards, and multiple years of experience heli skiing in Valdez, Alaska's Chugach range. Our guides started out working for other Valdez, Alaska heli skiing operators, yet grew tired of watching clients and friends leave Alaska without completing the runs they had paid for in their package. 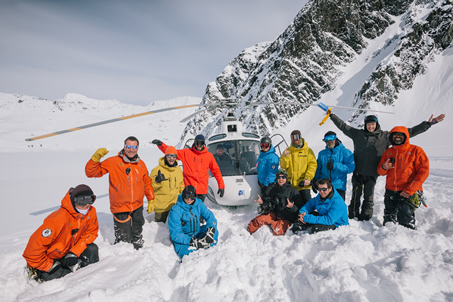 These experiences helped us at ASG to create different packages and make operational changes that ensure your Valdez heli skiing and heli boarding trip will be all that it can be. We know that any skier or snowboarder who has spent time in the mountains dreams of the day they will go heli skiing in Alaska. This is your year, stop dreaming, and reserve your seat with us today!